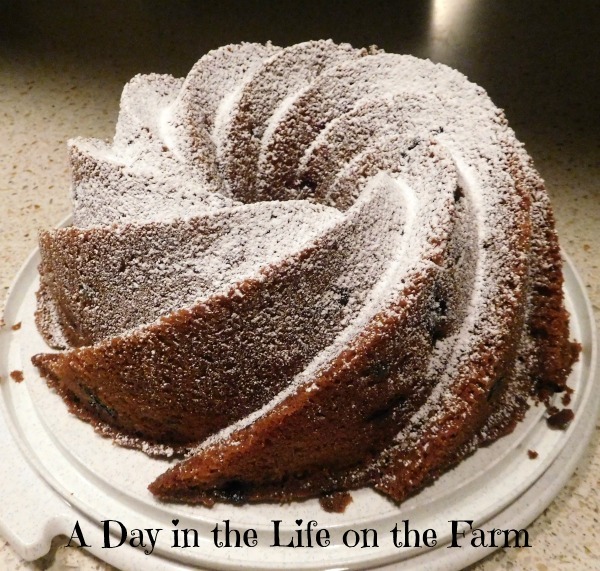 Happy Bundt Day! Each month a group of us get together over at Bundt Bakers to bake a cake that matches the theme chosen by the host of the month. 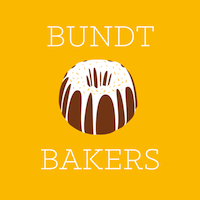 This month's host is Sue of Palatable Pastime and she chose a pretty open theme of "Punt the Bundt". 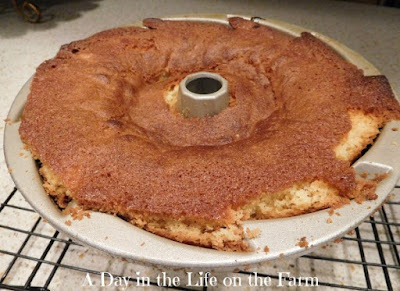 Sue said we could make any Bundt that would be good to serve up on a game day. To me that meant something without any frosting or glaze so that it could be easily eaten out of hand. 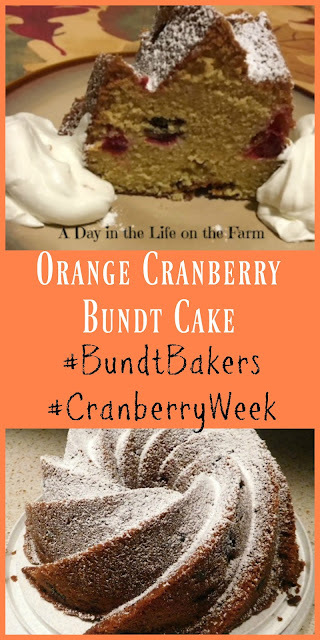 It just so happens that we are also celebrating Cranberry Week, hosted by Caroline of Caroline's Cooking. 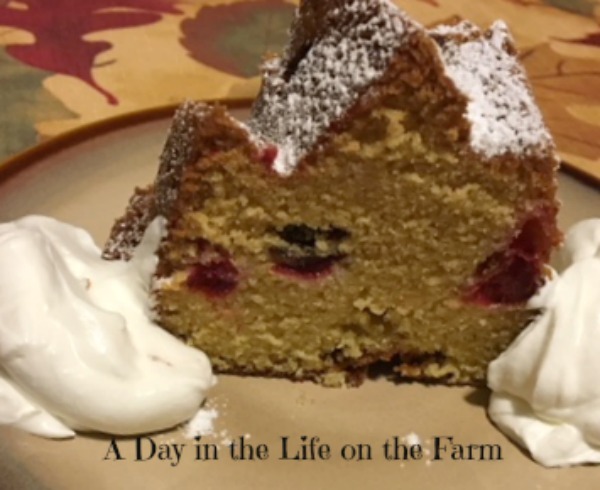 Bloggers in this event have been sharing their favorite recipes using Cranberries all week long. I shared a Cranberry Coffee Cake on Monday and I will be back tomorrow with a recipe for a wonderful Holiday cocktail. Tonight we are celebrating our Little Miss Melody's Christening Anniversary over at Amy's house. Amy, being Melody's Godmother, celebrates with a dinner each year to commemorate this joyous event. I volunteered to make dessert and then went on a search for a Bundt cake containing cranberries that would meet our Angel Face's standards. 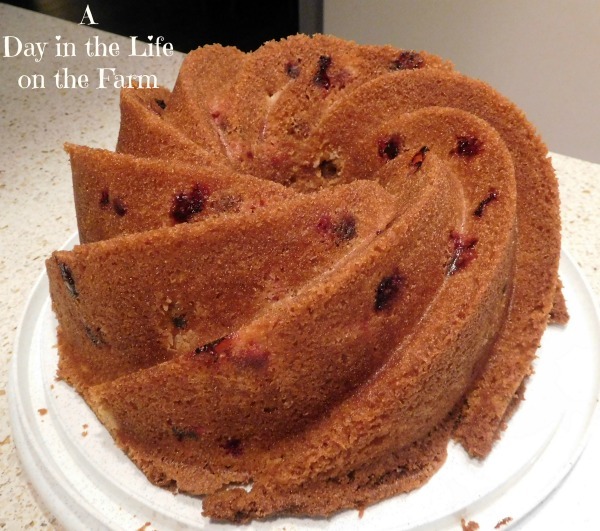 I found this Orange Cranberry Bundt by Jeff Mauro of The Kitchen. I adapted it slightly by omitting the orange liqueur and adding orange extract since it was meant for a three year old. If you are making this for a Football Party feel free to omit the orange extract and replace with 2 teaspoons of orange liqueur. Melody and I got up early and started baking. The batter was light and fluffy and seemed to fit perfectly in my pan. Then, while the cake was baking, I could smell something burning. I opened the oven and the cake had overflowed. Of course, I had no baking sheet under it to catch the spills. The overflow started burning, my house filled with smoke. There was nothing to be done but turn on exhaust fans, open windows and pray for the best. I pulled it out of the oven and allowed it to cool for about 20 minutes. Then I went to work trying to rectify the situation. I trimmed off all of the burnt overflow and held my breath while I turned it out of the pan. It slipped out beautifully. I LOVE baking spray, especially when making Bundt cakes. 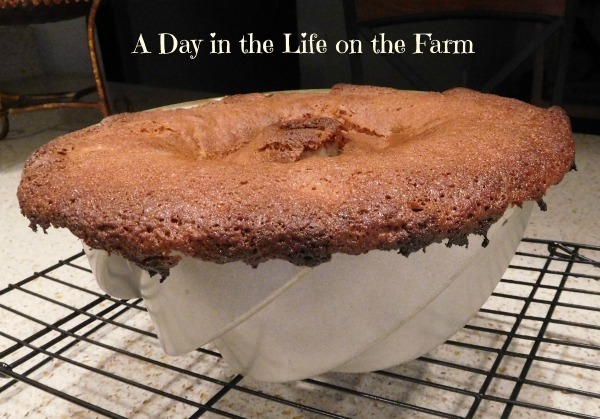 I dusted it simply with powdered sugar after it had cooled completely. It was the perfect cake for transport to our Christening party or your Tailgate party. I served it up with a dollop whipped cream but that is not necessary at all if you are in a situation where you aren't using plates and utensils. Toss the cranberries with the 1 tablespoon of flour, set aside. Whisk together the orange juice and zest, orange extract and eggs. Set aside. Place the remaining flour, sugar, baking powder, salt and baking soda in large bowl of stand mixer, fitted with the paddle attachment. Turn on low speed and combine dry ingredients. 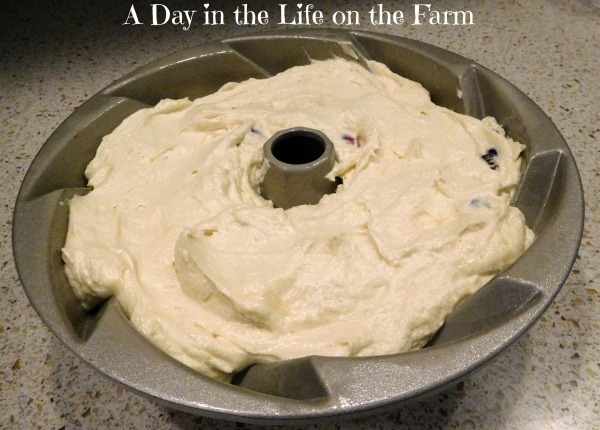 Start adding the butter, a little at a time, until it becomes crumbly with pea size pieces. Turn the speed to medium and slowly add the orange mixture until combined. Increase the speed to med high and beat for 2 minutes until light and fluffy. Fold in the cranberries. Looks absolutely delicious, Wendy! I made one last year, but with dried cranberries, since you cannot find fresh ones here in Spain (we did have them in Holland and I loooooved them!). I am glad the cake came out okay, despite the oven-burning-adventure ;-) See you again next month! Looking forward to it Lara. I would definitely enjoy this beautiful cake!